Steltzner Vineyards-Richard Steltzner-Cabernet Sauvignon-Reserve-Estate-Stags Leap District-Napa Valley-California-2006-14.5% Alcohol-$39.99-A nose of dark fruits and spice, dark black garnet in color. 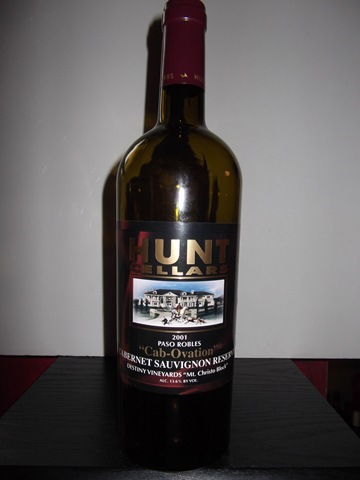 A medium to full bodied Reserve Cab, with blackberry, black cherry, cassis, some bacon and spice on smooth long finish. A very good Cab, easy drinking, great QPR. NR CR-92 Good with meats, chicken, pasta. 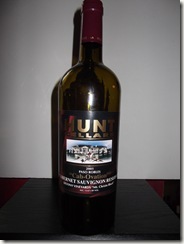 Chateau Manzanita Winery-Vin De Manies-Cabernet Sauvignon-Reserve-Napa Valley-California-2006-14.5% Alcohol-$21.53-A nose of dark fruits and spice, dark garnet I color. 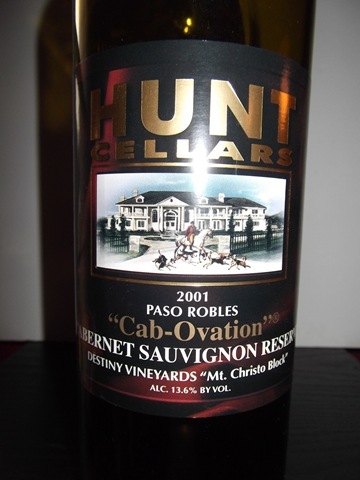 A medium to full bodied Cab, with blackberry, currants and cassis, layers of flavor with a spice finish. 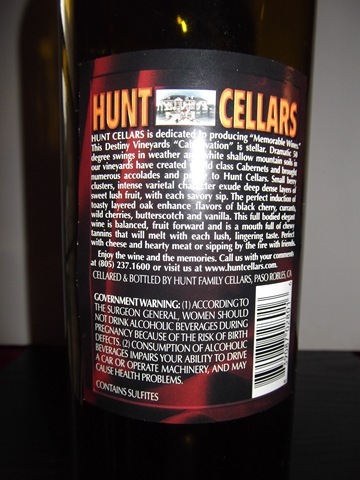 You must decant this wine for hours for it to show it’s true colors, was really good. NR CR-92 Good with steak, chicken, pasta. Beaulieu Vineyard-No 2-Cabernet Sauvignon-Reserve Maestro-Rutherford-Napa Valley-California-2005-14.4% Alcohol-$57.00-A nose of dark fruits and some spice, dark garnet in color. A medium to full bodied Reserve Cab with blackberry, black cherry, currants, some of that Rutherford dust and spice on finish. Was mildly disappointed since it was better in tasting room a few years ago. WS-92 WE-92 CR-90 Good with steak, chicken, pasta. Rudd-Crossroads-Cabernet Sauvignon-Petit Verdot-Merlot-Cabernet Franc-Oakville-Napa Valley-2006-14.5% Alcohol-$35.99-A nose of dark fruits and spice, dark garnet in color. A full bodied Cab, with blueberry, cassis, chocolate and tar, good spice on finish. Needs to be decanted for a few hours, Rudd’s second label wine. NR CR-90 Good with steak, chicken, pasta. Seavey Vineyard-Cabernet Sauvignon-Napa Valley-California-1998-14.1% Alcohol-$29.99-A nose of dark fruits and spice, dark garnet in color. A medium to full bodied Cab, with blackberry, cherry, tobacco and spice on finish, still has life left, a solid Cab. RP-90 WS-89 CR-90 Good with meats, chicken, pasta. Sixteen By Twenty-16 X 20-Cabernet Sauvignon-Napa Valley-California-2007-14.8% Alcohol-$40.00-A nose of dark fruits and spice, dark garnet in color. A full bodied Cab, with blackberry, currants, cassis, finishes with chocolate and spice, full mouth feel. A very solid wine other than the silly name (picture frame size). NR CR-90 Good with meats, chicken, pasta. 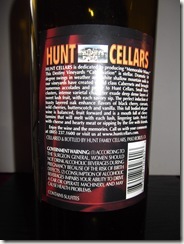 Mankas Hills Vineyards-Contado Mankas-Cabernet Sauvignon-Mankas Hills Vineyard-Suisun Valley-California-2008-14.1% Alcohol-$21.99-A nose of dark fruits and spice, dark garnet in color. A medium to full bodied Cab, with black cherry, blueberry, cassis, with toasted vanilla on finish. A interesting flavor profile, drinks like a Cab twice it’s price. NR CR-90 Good with meats, chicken, pasta. Match Vineyards-Cabernet Sauvignon-Butterdragon Hill Vineyard-Napa Valley-California-2005-14.5% Alcohol-$43.70-A nose of dark fruits and spice, dark garnet in color. A full bodied Cab, with currants, black cherry, blackberry, some earth and chocolate on finish. 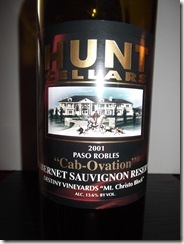 A solid Cab, decant for an hour. WS-90 CR-90 Good with steak, chicken, pasta.